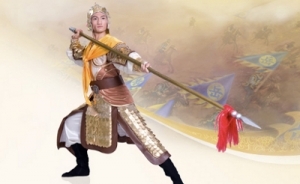 In the Shen Yun 2018 dance vignette, Awakening, an ancient soldier seeks redemption at the legendary Mogao Caves. Created in 366 C.E. 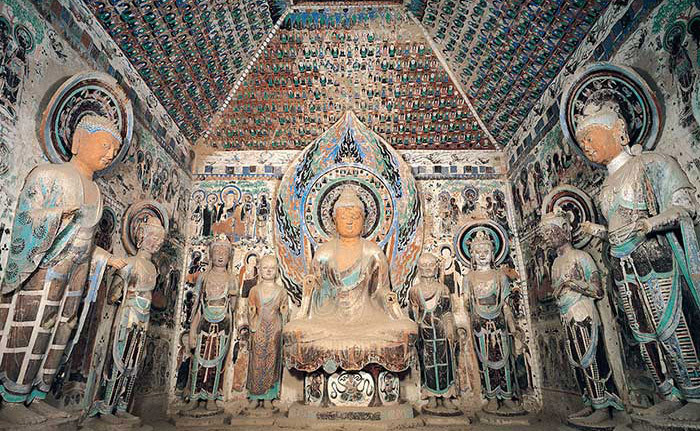 and also known as the “Thousand Buddha Caves,” the Mogao Caves have an enchanting story. This remote sanctuary is a sacred wonder, which throughout the centuries many have made the pilgrimage to pay homage and to witness its splendor with their own eyes. The Hexi Corridor in northwest China is bordered by deserts to the south, vast plateaus to the north, and mountains to the east and west. In this narrow passage we find the oasis city of Dunhuang, a blessed stop on the Silk Road running through Gansu Province in northwest China. For centuries, Dunhuang has been a special place for the weary traveler—not only because of its trade center. Fifteen miles away from its bustling markets lie the Mogao Caves, home to one of the most breathtaking collections of Buddhist paintings and statues in the world. As legend has it, a Buddhist monk named Le Zun was making the long journey to the Western Paradise. Crossing the Gobi Desert, he stopped by Sanwei Mountain, near Dunhuang. There he found a special spring and, having quenched his thirst with its sweet waters, sat down to rest. It was dusk and he was admiring the sunset when suddenly the mountains began to glow. Raising his head, he saw an image of a glorious golden Maitreya Buddha floating in the sky. A thousand beaming Buddhas emerged, surrounded by flying fairies playing heavenly music. Deeply moved by the radiant scene, Le Zun immediately decided to stay and celebrate it. 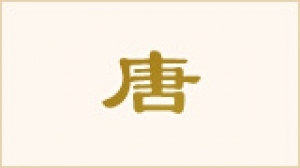 Le Zun had learned painting and sculpture, and so he put forth these skills to recreate his vision. Years later, another Buddhist monk named Fa Liang arrived at the same place and had an identical vision. Fa Liang then filled a second cave with paintings and statues of the divine scene. Mogao quickly became a pilgrimage site for Buddhists, artists, officials, and many others. More than 500 caves were dug into Sanwei Mountain, many of them during the Tang Dynasty. Subsequent centuries filled the caves with religious scriptures and countless Buddhist murals. 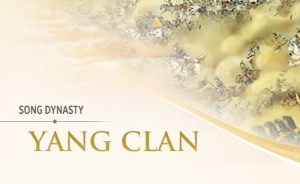 Today, they hold some of the finest Tang Dynasty artworks including murals, sculptures, and artifacts. Inside a Mogao cave, a Buddha is generally the central component and is surrounded by other deities and heavenly attendants. One of Mogao’s most famous statues is the clay figure of Maitreya Buddha. Over 100 feet tall, it is one of the largest in the world. For ancient Chinese, who believed that Heaven protects the pious, the caves’ imagery was particularly striking. The most elaborated painted caves had murals covering the walls and ceilings: Buddhas, bodhisattvas, heavenly fairies (especially on the ceilings), narrative paintings, and representations of heavenly paradises. A prevalent motif in the murals was countless rows of small Buddhas seated in the lotus position—hence “Thousand Buddha Caves.” Some images depicted the grand solemnity of Buddha; others the terrors of Hell for the wicked. It was a common belief that deities appeared to the faithful in visions, and the scenes were thus taken as accurate depictions, an earthly glimpse into otherworldly realms. Centuries later, with the decline of the Silk Road, the Mogao Caves were slowly forgotten by the outside world. 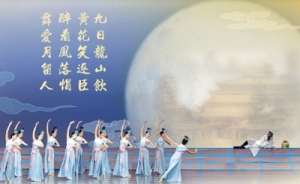 In the Shen Yun 2018 dance vignette, Awakening, a soldier comes to the cave temples at Mogao to begin anew. After years surrounded by violence and destruction in battle, he finds himself surrounded by the fallen and is struck with remorse and anguish. A Buddhist monk appears by his side and leads him to the cave temples of Mogao. Here, the desperate soldier picks up a monk’s life of simple piety to seek atonement. He turns his back on old glories and forfeits past ties for a new life beyond the mundane. And the willingness to sacrifice all proves to move even hearts of stone. In the end, the soldier is rewarded with a vision of otherworldly splendor, and he's overjoyed to discover that there is more to life than meets the eye.